Jianzhi "George" Zhang is the Marshall W. Nirenberg Collegiate Professor of Ecology and Evolutionary Biology at University of Michigan. He received his doctorate in Genetics from Pennsylvania State University. 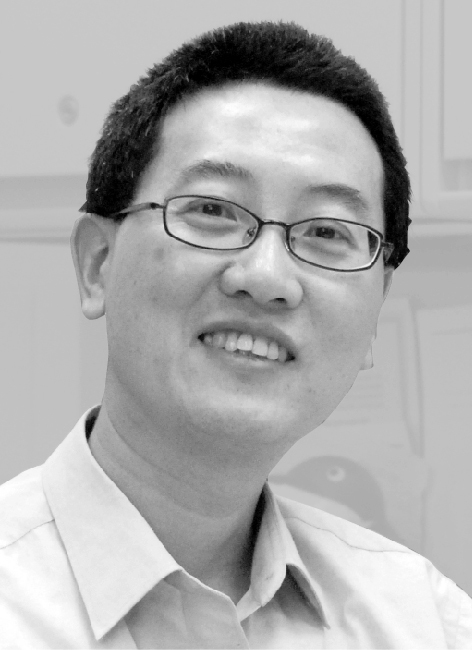 He has a wide array of research interests in molecular and genomic evolution, centering on the relative roles of chance and necessity in the evolution of genes, gene families, genomes, transcriptomes, proteomes, metabolomes, and phenomes. His past scientific contributions are primarily in the areas of duplicate gene evolution, molecular adaptation, genetic basis of human origins and primate diversity, and vertebrate sensory gene evolution. Current researches in his lab, supported by NIH and NSF and mostly based on the budding yeast and its relatives, focus on the genomic patterns and molecular mechanisms of classic phenomena that are important in the functioning and evolution of genetic systems, such as epistasis, pleiotropy, redundancy, robustness, heterosis, and stochastic noise/error.